Globlue Technologies and TransUnion established a strategic alliance to integrate TLOxp big data into ARKHOS i2 Enterprise Counter Fraud. Such integration enables Law Enforcement, Government, Finance and Insurance SIU to generate actionable intelligence in real time directly from i2 Analyst Notebook dashboard. ARKHOS TLOxp i2 Connector enables TLOxp customers to seamlessly apply intelligence into TLOxp big data and visualize results on i2 Analyst's Notebook. This enhanced feature provides access to comprehensive 360º entity intelligence with link expansion capabilities through multiple degrees of separation in real time. ARKHOS TLOxp i2 Connector empowers fraud Analysts and Investigators to quickly utilize the power of a forensic analytical tool to better understand relationships and patterns within TLOxp data sources making sense to complex investigation cases. "The ARKHOS TLOxp i2 Connector has united the power of TLO and i2 Analyst’s Notebook into a remarkable weapon in our fight against insurance fraud." "ARKHOS TLOxp i2 Connector is a great tool for charting TLO searches"
i2 Analyst Notebook trial available for non i2 users. 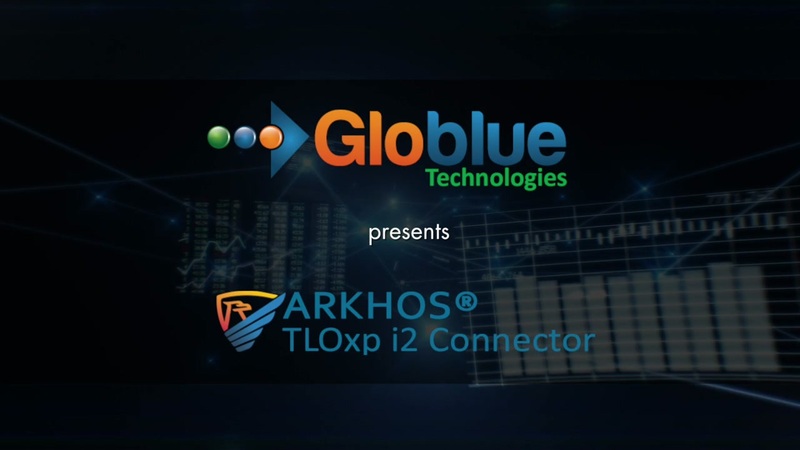 "The ARKHOS TLO i2 Connector represents a collaborative effort between Globlue and TransUnion. Our objective was focused on what an Analyst would need in utilizing skip-tracing data within the powerful i2 platform. We believe customers are going to appreciate this Connector, and confirm that we executed on our vision to create a tight integration." "IBM i2 is thrilled to be part of this innovative collaboration. The ability for customer to easily access TransUnion incredibly rich data, through the ARKHOS Connector, will vastly propel customer's ability to analyze and investigate potential threats in real time." "​Some use association matrixes and link diagrams to display the fraud they have found. At GEICO, we use these techniques to actually find the fraud. Critical to this effort is the ability to mass populate our charts to ensure that both the principles and possibilities to our investigation are in scope. The ARKHOS TLOxp i2 Connector makes this possible. In minutes thousands of entities can be populated on an i2 chart, reconciled, merged with other data and visually associated with suspicious activities. TLOxp i2 Connector was designed to exploit the Visual Search strength of i2. Each icon, label, link and color was carefully chosen to enhance and speed and visual recognition of illicit relations and schemes. The ARKHOS TLOxp i2 Connector has united the power of TLO and i2 Analyst’s Notebook into a remarkable weapon in our fight against insurance fraud."